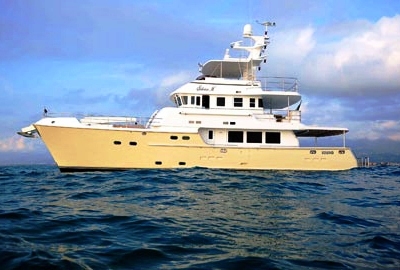 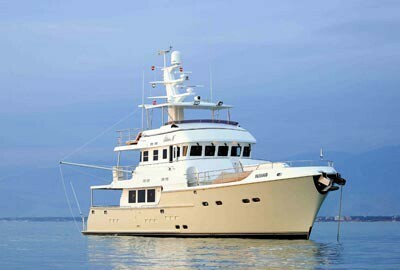 Motor yacht SILVIA M is a 24.00m (78' 8") expedition / explorer style motor yacht built by Nordhavn in 2008. 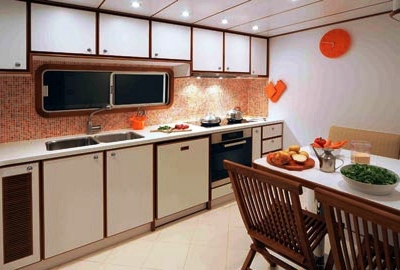 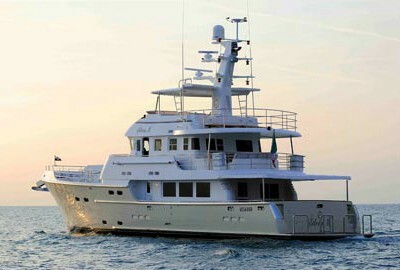 M/Y SILVIA M can accommodate up to 6 guests in 3 cabins. 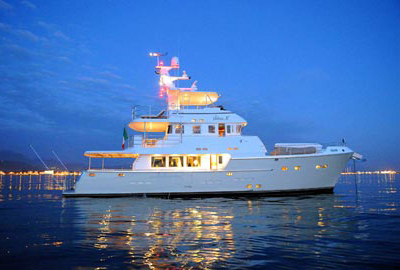 The charter yacht SILVIA M is based in Tuscany and available for charter in Sicily and South Italy upon request. 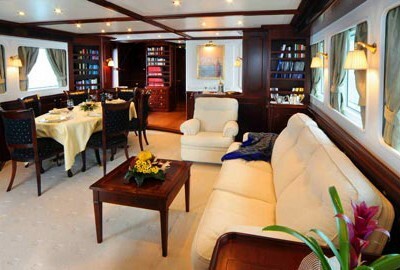 Motor yacht SILVIA M features a beautiful main salon with varnished handcrafted cabinetry and seats six in upholstered teak chairs at the teak dining table. 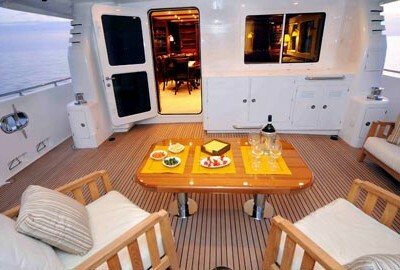 From the movable chair or along the starboard side settee, enjoy the 42-inch, flat screen plasma TV that rises on a lift system on the port side and the unparalleled sound quality of the Bose sound system with DVD player. 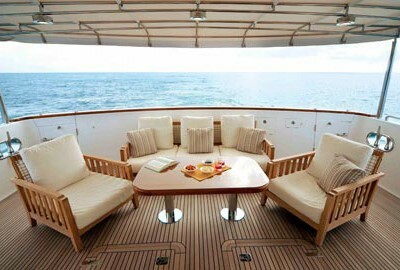 Gather around the teak coffee table or along the bar for casual dining. 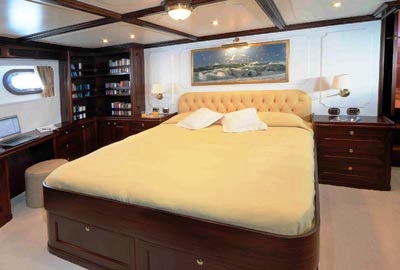 Accommodations onboard the Nordhavn 76 SILVIA M brings luxury comfort and detail to a level unmatched in any other vessel her size. 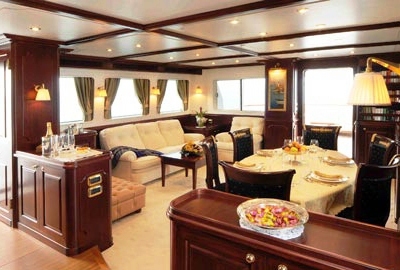 The luxury expedition motor yacht SILVIA M can accommodate up to 6 guests in 3 cabins. 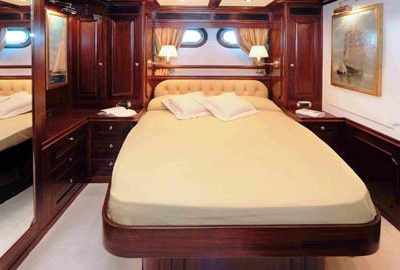 Her Master Cabin is very large with a double bed and luxurious bathroom in Carrara marble, with shower + bath, bidet, WC and double sink. 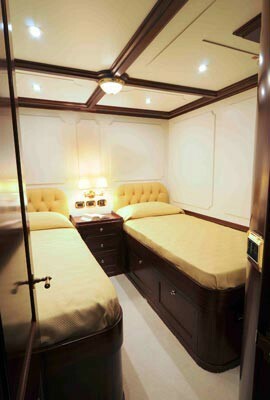 The beautiful VIP cabin also has a double bed and private bathroom with shower, with good finishes in Carrara marble. The twin guest cabin has a bathroom with shower with an entrance from the hallway. 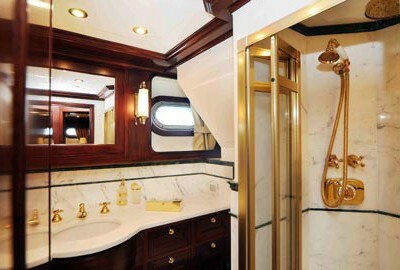 This bathroom also serves as a day head. 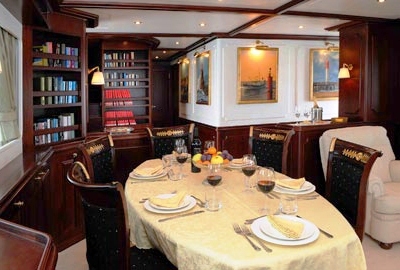 Expedition motor yacht SILVIA M features great outdoor entertaining areas including an Aft dining area on the first bridge and flying bridge. 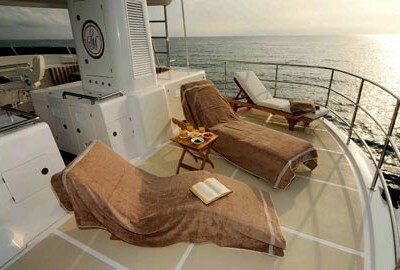 There is also a sunbathing area on the fly bridge and a BBQ. 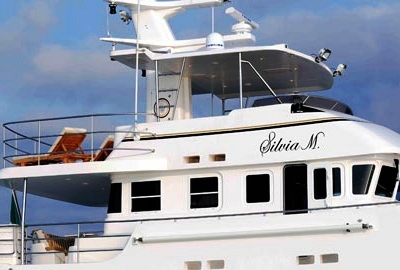 Luxury explorer yacht SLIVIA M is spacious with a generous 21-foot beam. 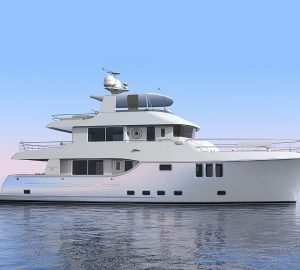 The yacht is powered by a MTU 535 hp engine and possesses fantastic ocean going capabilities as well as excellent fuel consumption. The luxury expedition motor yacht SILVIA M can accommodate up to 6 guests in 3 cabins. Her Master Cabin is very large with a double bed and luxurious bathroom in Carrara marble, with shower + bath, bidet, WC and double sink. The beautiful VIP cabin also has a double bed and private bathroom with shower, with good finishes in Carrara marble. 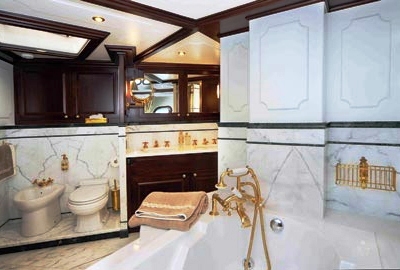 The twin guest cabin has a bathroom with shower with an entrance from the hallway. 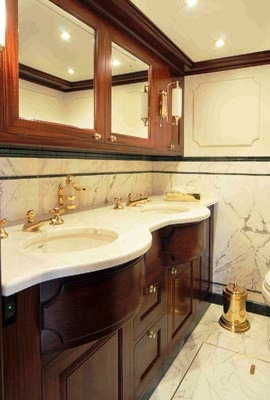 This bathroom also serves as a day head. Luxury charter yacht SILVIA M has a range of extras onboard including theses Tenders & Toys: A Large Novamarine tender (mt 5.20) with 70 Hp with deep sea fishing and water-ski equipments, Arimar service dinghy (mt 3.60) with 15 Hp. Communications onboard include a Satellite phone, Internet connection, fax. 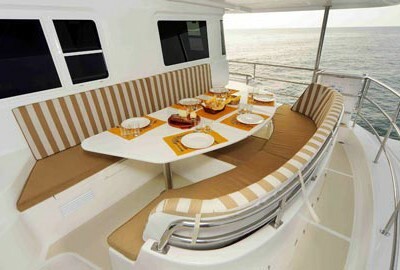 Audio Visual Equipment and Deck Facilities include Satellite TV, LCD, decoder and DVD pus a BBQ on fly bridge.